This is a very pleasant album to listen to. What struck me first is the fact that the bass guitar is audibly present, which is remarkable because most solo guitarist albums always want the bass somewhere in the back as far as possible. The album has a good start and even gets better after some tracks. Not one track is the same, no repetitive themes, which is very refreshing. Kalle has surrounded himself with very good musicians. It is well mastered and produced. It is an instrumental album with some spoken words and a female vocalist singing ‘oohs’ and ‘aahs’. I’m actually very curious, how will the album have sounded with vocals? Anyway, you don’t really miss them really. Some tracks are prog metal-ish, but not too loud and bombastic, like ‘Anomalies’, ‘Industrial No. 4’ and ‘In The Back Of My Head’. Some tracks are solid prog rock tracks and some calmer tracks like ‘Interno’, which suits a dark but beautiful atmosphere/ambiance. I really love the bass guitar lines on the track ‘The Aliens (Have Landed)’ for example, it is very solid and well fabricated. 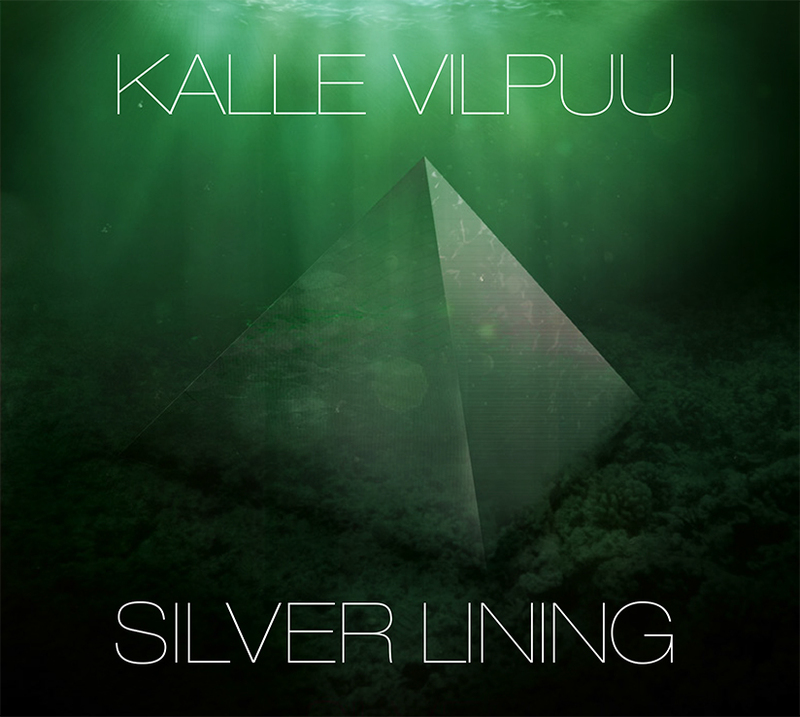 The most beautiful track of the album is the title track ‘Silver Lining’, it is actually a shame it only lasts 4 minutes. The artwork of the album is stunning. It is simple, but very efficient. I’m also glad it’s in a cardboard sleeve (I think it’s a big improvement more CDs are available in beautiful cardboard sleeves instead of those ugly jewel cases). My final conclusion about the album? I give it 5 out of 5 stars! This artist deserves a much bigger audience. An experienced guitarist who knows what he’s doing, which is making a very good album you really enjoy listening. This album should be listened with volume on 11 while mastering your air guitar!